In our article '5 tips when buying a portable battery pack for your mobile device', we ask readers to avoid cheap power banks, especially those whose features sound too good to be true for the price. But once in a while, something comes along and attempts to overturn this rule of thumb. 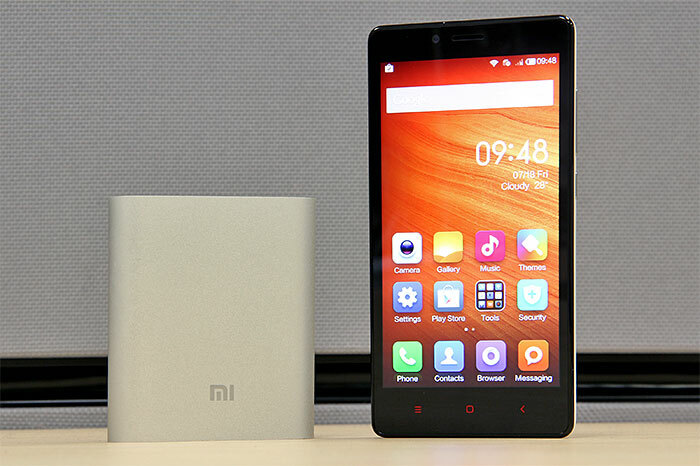 Yes, we're referring to the Mi Power Bank from Xiaomi. Just like the company's smartphones (heck, just like everything that Xiaomi is selling), the Mi Power Bank is priced way cheaper than comparable offerings from competitors. To put this into perspective, consider this: a name-brand 10,000mAh power bank typically costs about $100. 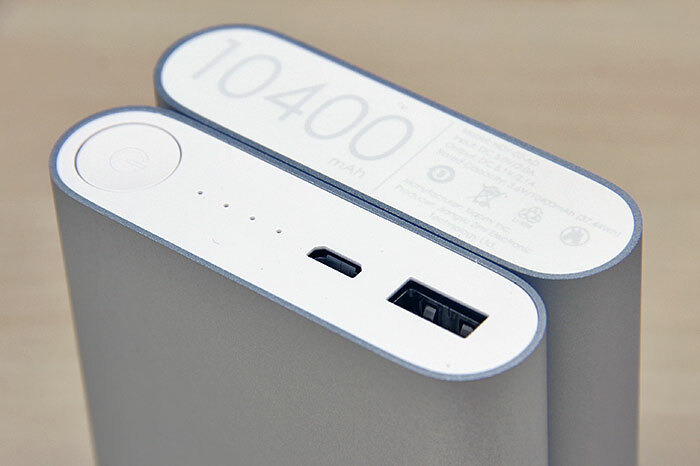 The 10,400mAh Mi Power Bank? Only $13.99. Sure, you get this price if you buy more than S$50 worth of items to enjoy the free delivery; but even if you don't, at S$18.99 (after adding the $5 delivery fee), it's still very affordable. Of course, we aren't saying that there aren't any affordable, high-capacity power banks out there. Frequent Taobao users will tell you that cheap power banks are aplenty on the Chinese online marketplace, but there are hoops to jump through to ship a power bank to Singapore, not to mention shipping fees, and the lack of warranty. 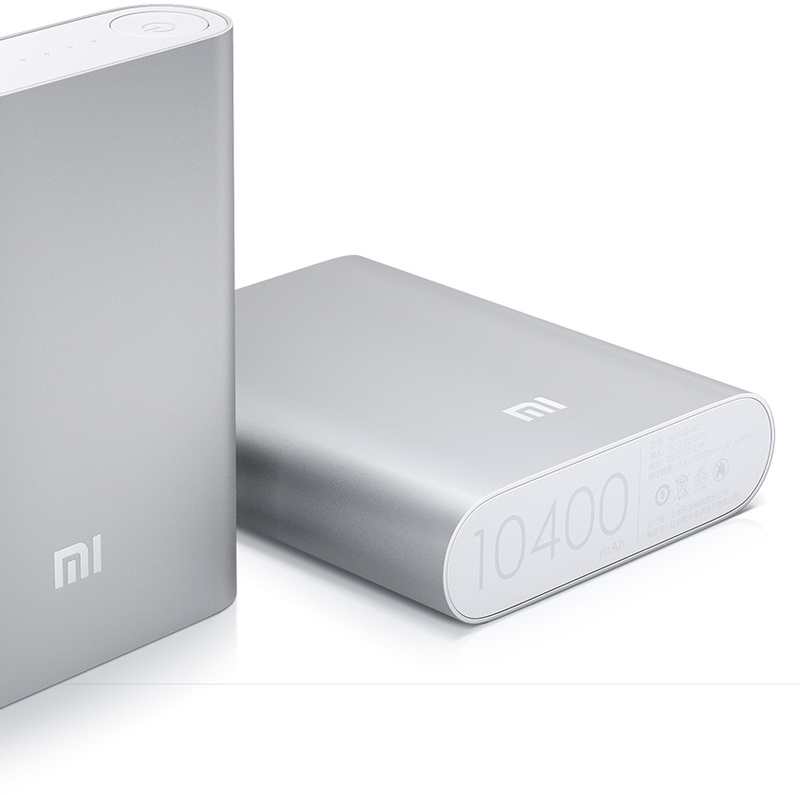 So, is the Mi Power Bank any good? There's not much to say about the Mi Power Bank's design, except that for a $14 product, it looks and feels very good. The bulk of the casing is CNC machined from a single piece of aluminum, and anodized to make it lightly textured for additional grip. Xiaomi says the surface is also water and corrosion resistant, and can withstand a 50kg pressure limit (that said, we don't advise you to sit on it). Not impressed? What if we tell you it has also passed a 300-time rub test (say 'wut?!'). 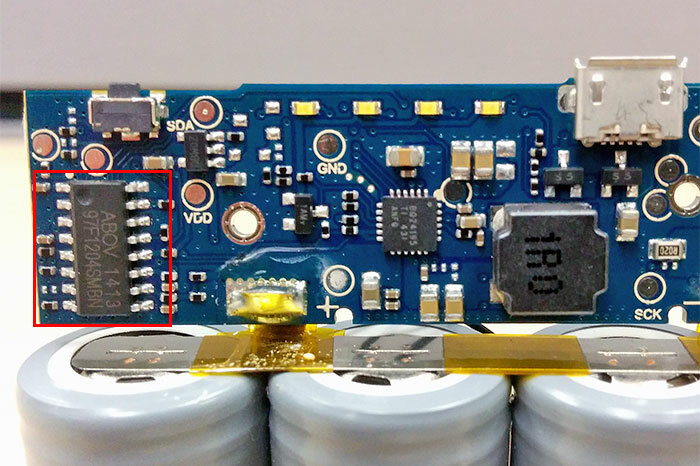 The only plastic parts on the Mi Power Bank are on its top and bottom. One end houses a regular USB port (for output), a micro-USB port (for input), a 4-LED indicator, and a circular capacity check button; while the other end has the usual specs and regulatory labels. In case you're wondering, a power button isn't really required, because the power bank will automatically turn on and charge the device when both are connected with a USB cable. The purpose of the capacity check button (when you press it) is to turn on the LEDs to tell you how much charge is left. In a nutshell, each lit LED represents a 25% charge. You get a full charge when all four LEDs are lit and not blinking. 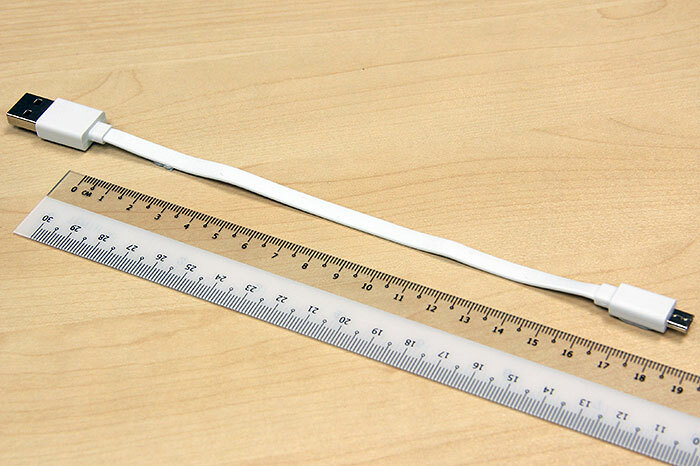 And speaking of USB cable, a 16cm long (excluding the strain relief) white USB cable comes bundled with the Mi Power Bank. Considering your smart device shouldn't be too far away when it's being charged, this is one of the few instances where we think a short USB cable makes sense. Now, before we move on, let's get a few more stats out of the way. According to Xiaomi, the Mi Power Bank's micro-USB port is tested to withstand 5,000 insertion/removal cycles, and the bigger USB port 1,500 cycles. Even ESD (electrostatic discharge) testing results are revealed: 8kV for contact and 12kV for air. Clearly, Xiaomi is trying its best to assure us that the Mi Power Bank is a quality product despite its low price. Up to this point, the Mi Power Bank definitely looks the part. 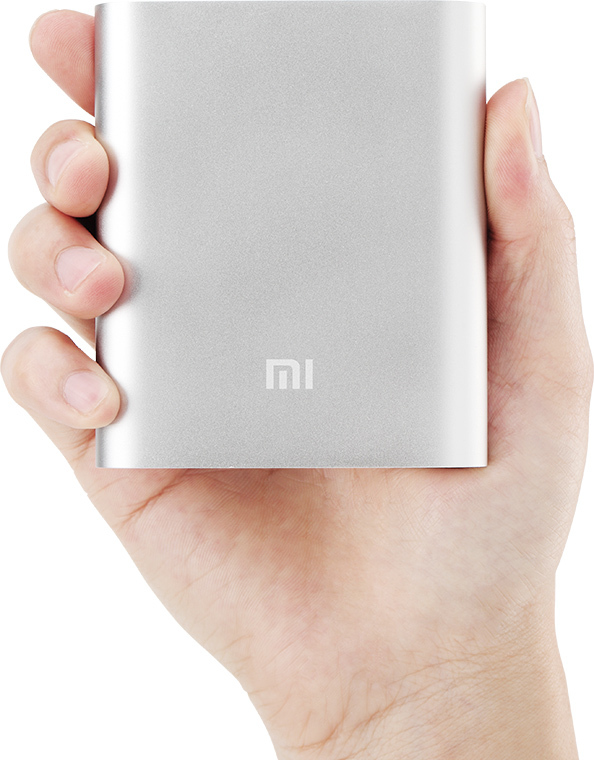 Just like everything that Xiaomi is selling, the Mi Power Bank is priced way cheaper than comparable offerings from competitors. For $14 product, it looks and feels very good. The bulk of the casing is CNC machined from a single piece of aluminum, and anodized to make it lightly textured for additional grip. Xiaomi clearly feels that the button and ports are self-explanatory (or that you would read the user sheet) that it didn't even bother labeling them. 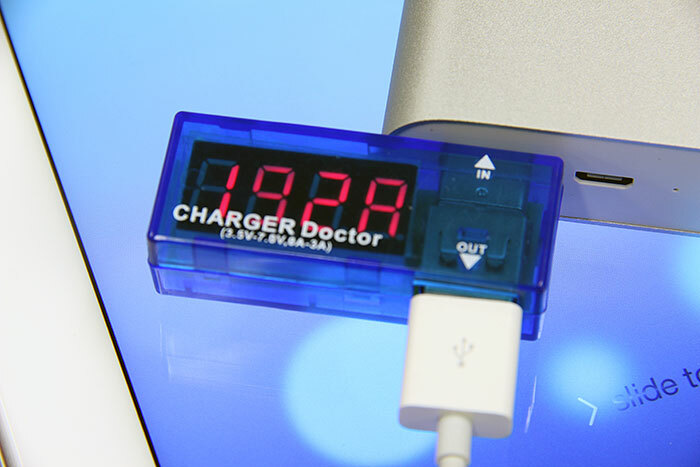 A power button isn’t really required, because the power bank will automatically turn on and charge the device when both are connected with a USB cable. 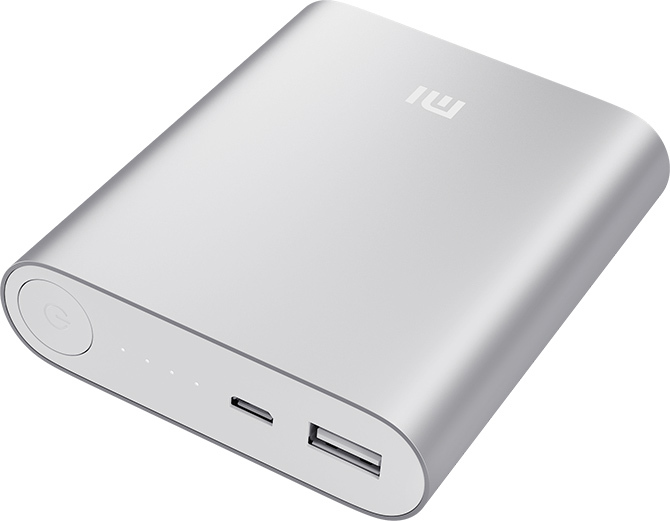 The Mi Power Bank consistently charges our iPad Air and Galaxy Tab S between 1.7 to 1.9A. Of course, this rate will slowly dip when the device is approaching a full charge. What sorcery is this? 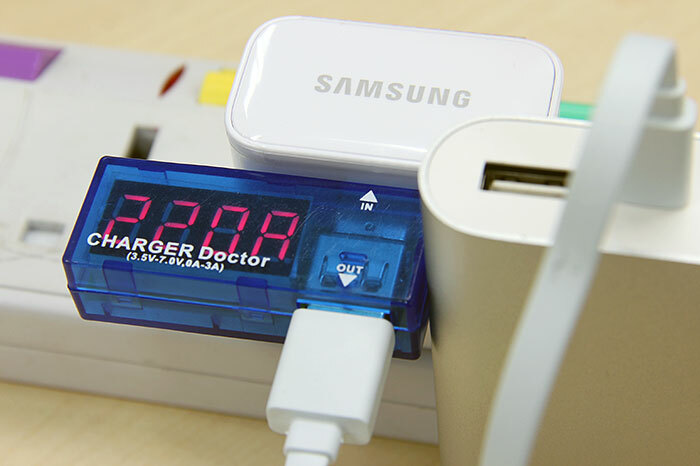 The Mi Power Bank is able to draw more than 2A from our Samsung charger to recharge itself! Say, what do we have here? 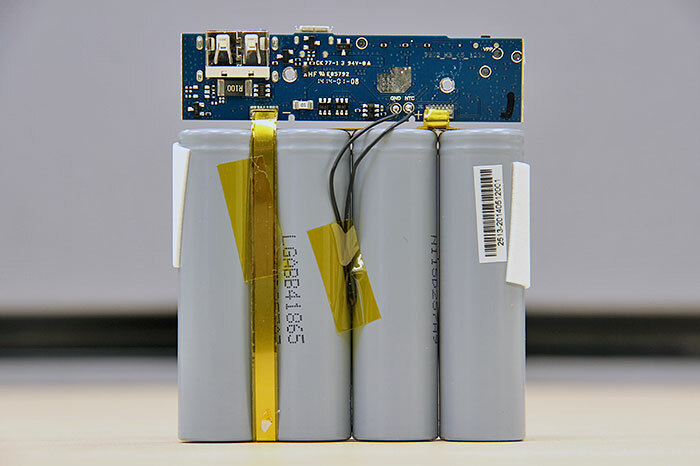 That's four LG (LGABB41865) battery cells, each 2,600mAh, for a total of 10,400mAh. 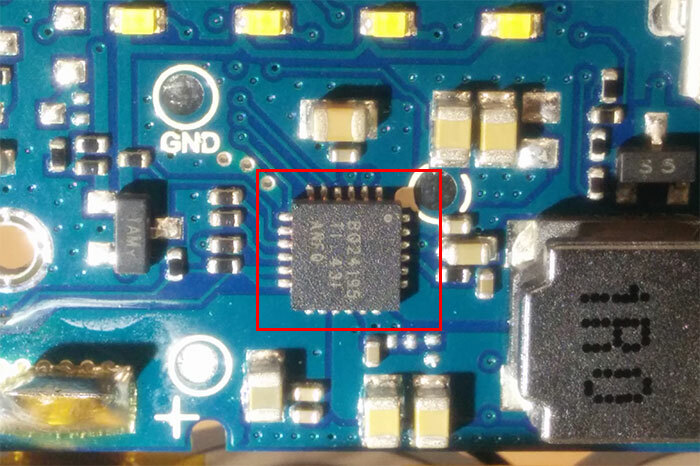 Xiaomi says that the Mi Power Bank uses control chips by Texas Instruments; and indeed, we found a TI BQ24195 switching charger. Towards the left is an 8-bit microcontroller (ABOV MC97F1204SMBN) made by Korea-headquartered semiconductor company, ABOV Semiconductor. Xiaomi says that its USB smart-control and power source chipsets are strengthened by nine layers of circuit chipset protection.